After highlighting the best of wedding ceremonies and receptions from CJ’s Off the Square last week, we are focusing in on the details with our favorite cakes of 2013. What can we say – we love a elegant, scrumptious wedding cake! 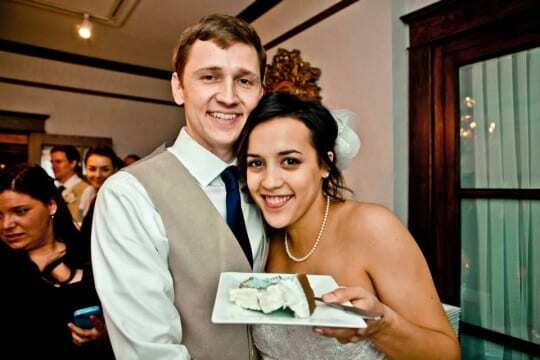 One quick note – it is no surprise that our most favorite cake of 2013 was Becca and Andrew’s. As a pregnant bride, Becca and Andrew choose to find out the gender of their baby when they cut into the cake. Blue cake meant a boy, pink for a girl. The happy parents are shown post reveal in the final picture below – holding a blue cake. Enjoy!